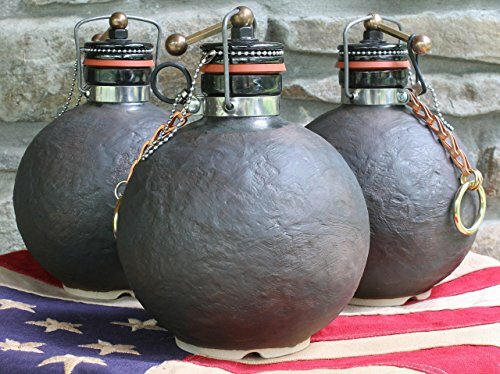 Ceramic Cannonball Beer Growler - Moar Stuff - You don't need it but you know you want it. 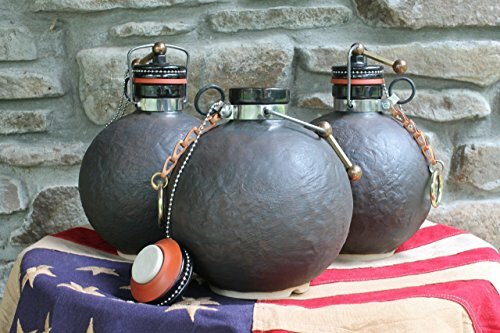 This Ceramic Cannonball Beer Growler has got to among the coolest ways to transport your beer ever invented. 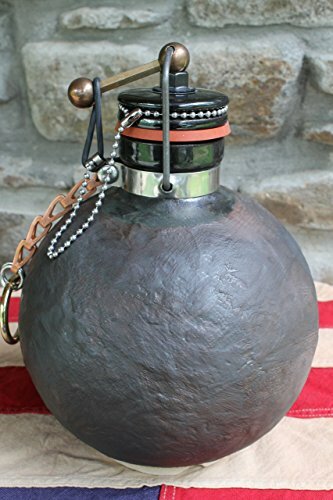 It looks like a civil war era cannonball or motor shell with an old-style stopper. The beer growler will hold up to 64 oz of your favorite micro brew. With more and more micro breweries offering growler stations, getting yourself a good-quality (and, of course, really cool) growler is an important investment for a beer lover. 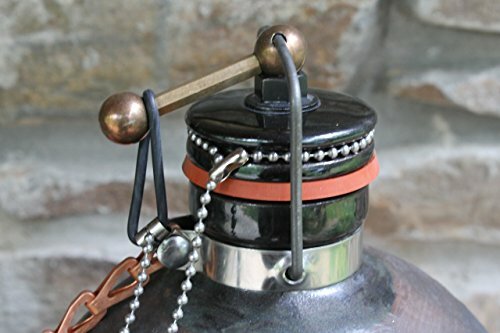 It turns out that beer keeps really well in this Ceramic Cannonball Beer Growler because it has a tight seal, non-reactive sides (no oxidation) and it keeps light out. The handcrafted spherical shape, mottled texture, and weather-worn cannonball glaze gives each unit it’s own special and unique character. The sphere was chosen because it’s a highly efficient vessel. The shape provides the least surface area to volume ratio, so you can transport 1/2 gallon of beer in the smallest possible container. This will also make it easier for you to store your growler in the refrigerator or cooler. Don’t worry about it rolling around. There is a rubber “foot” at the bottom to keep it upright and stationary. The cam-lever bottle top is retro-cool and highly effective. When the lever is rotated into the socket on top of the cap, it presses the cap firmly down against an extra thick FDA approved silicone gasket, making an air-tight seal. While the German Grolsch-style growlers and caps are certainly functional (but usually manufactured in China), this growler is 100% designed and manufactured in the USA. So, if you love beer (and who doesn’t?) 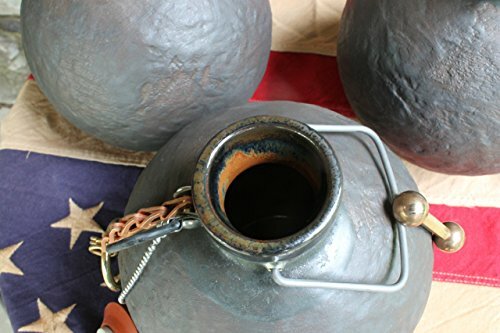 you need to give this Ceramic Cannonball Beer Growler a good look. You’ll be glad you did. Standard volume 64 fl. oz. Material ceramic, stoneware, silicone rubber, and brass.